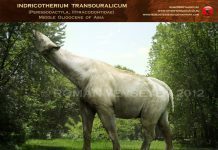 If you look at Brontotherium pictures, then you could almost mistake this mammal to a rhino. 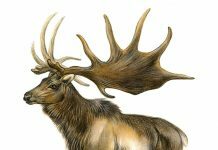 It was about 16 feet long and weighed around 3 tons and had a large horn jutting from its face. 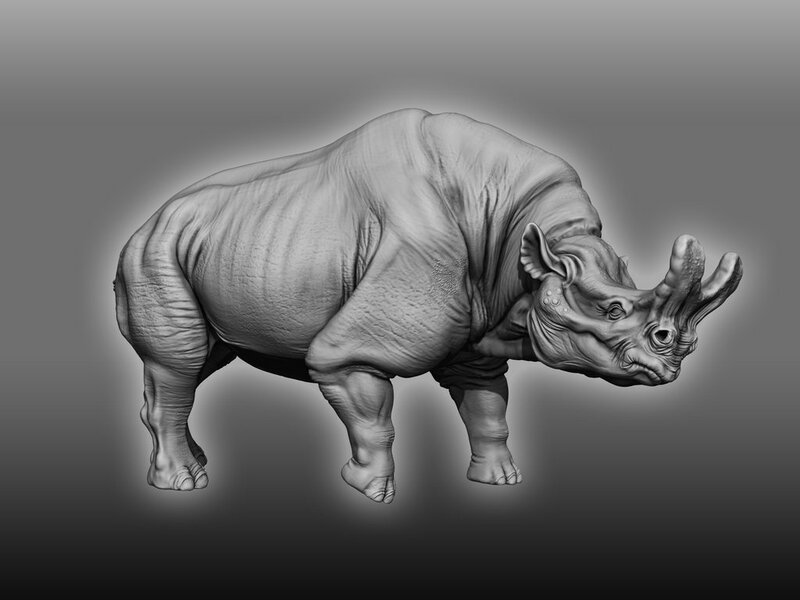 However, it is only distantly related to the modern rhinoceros. 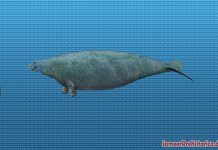 It is actually in the same family as prehistoric horses. 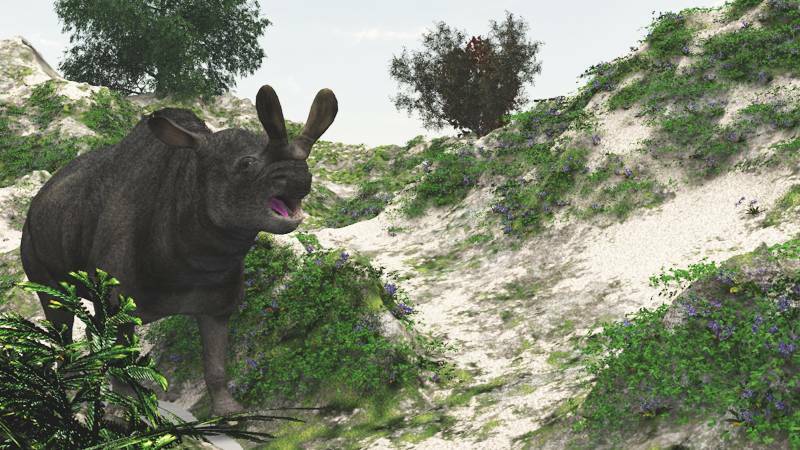 Brontotherium probably lived on a variety of different plants that were endemic to North America at that time. 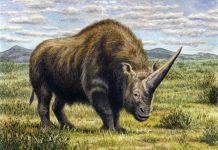 It probably would have had to eat over 120 pounds, maybe even as much as 200 pounds, of plant material a day to just survive. 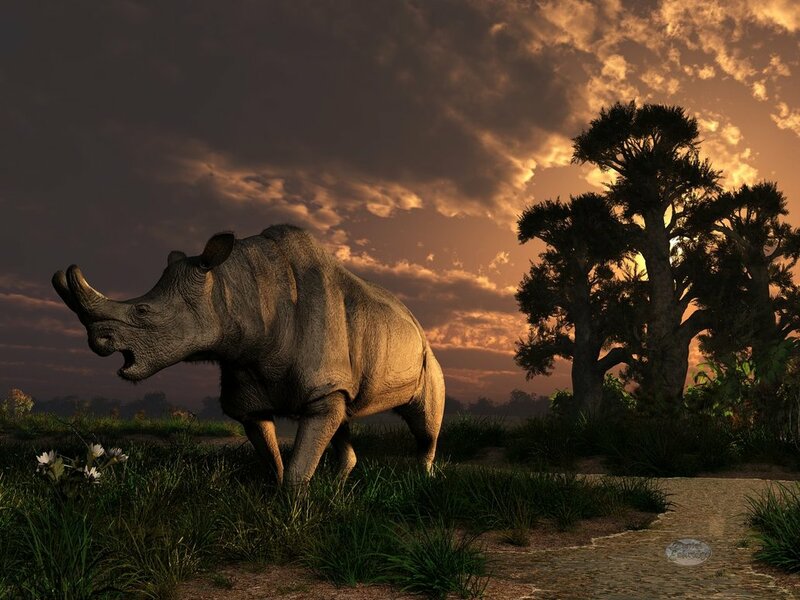 One of the most interesting facts about Brontotherium, however, is that males of this species probably butted heads for mating rights to females. 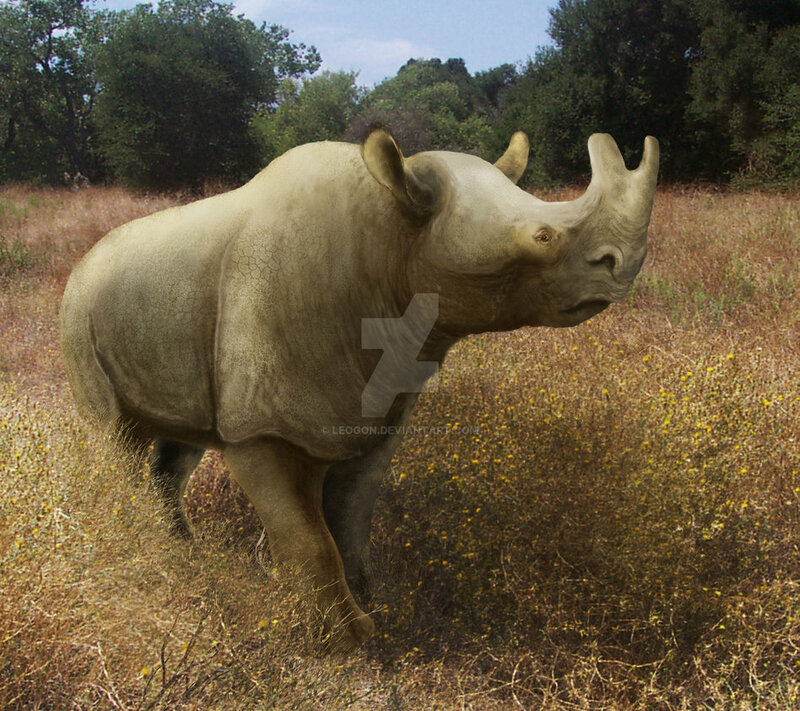 Much like modern rhinos do. 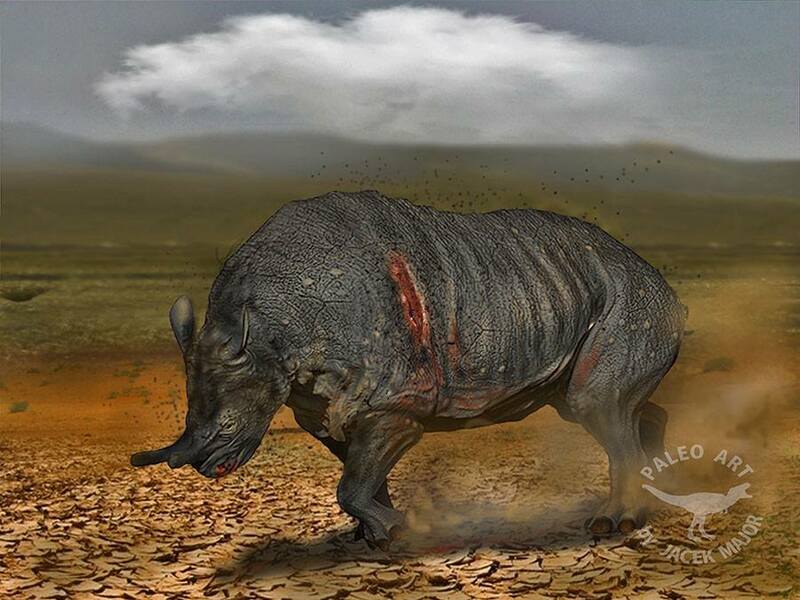 This theory has been supported by several fossils of this animal which shows damage which could have only been sustained by a Brontotherium horn. 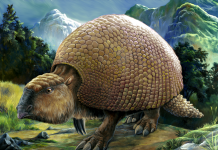 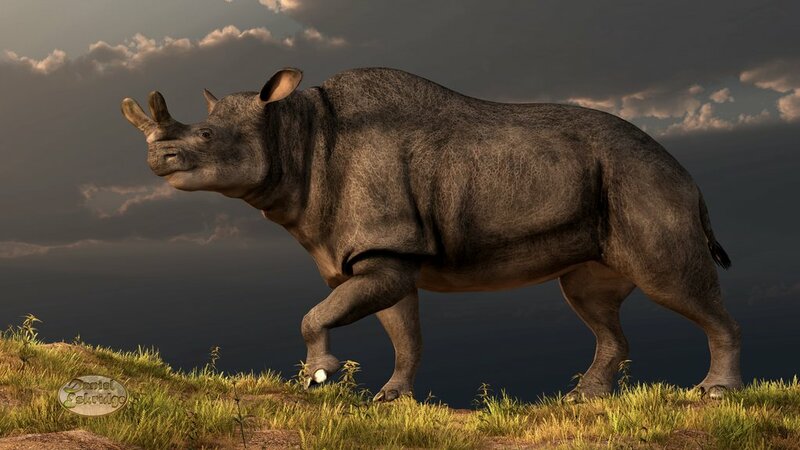 Why this megafauna mammal went extinct is currently unknown by paleontologists. 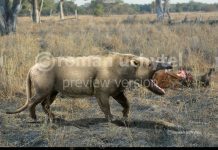 It could have been a factor of the changing environment and the introduction of new predators that started the end for this animal. 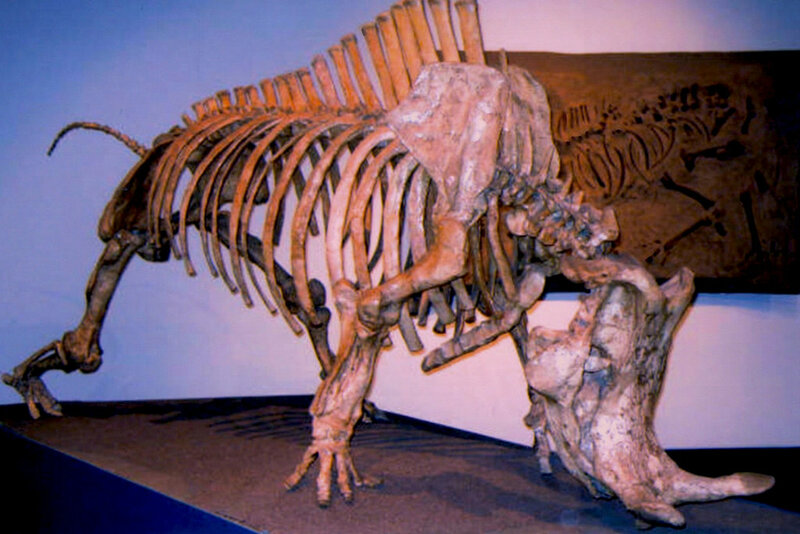 Some scientists have speculated that volcanic eruptions of the Rocky Mountains contributed to their demise.